No matter how often you vacuum your rug, dust and dirt particles will still stay trapped, and is not easily removed with regular vacuuming. 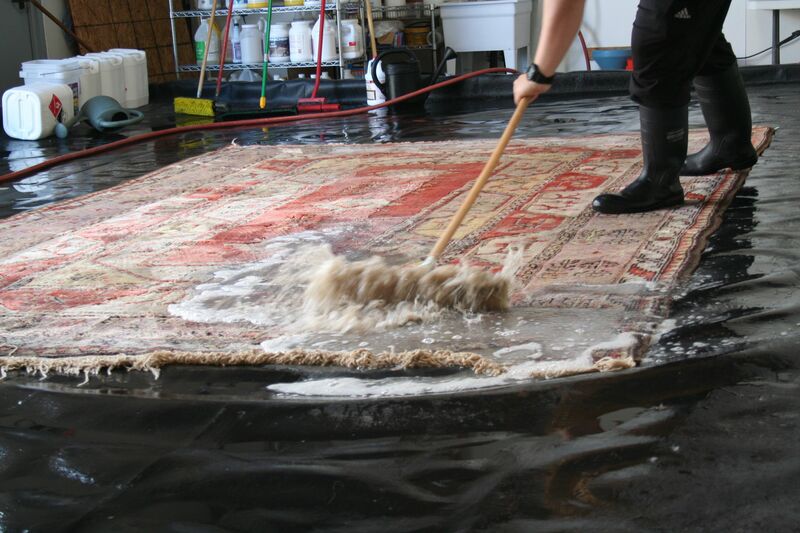 At Magic Rug Cleaners, we thoroughly “dust” each rug before it is hand washed. This is a Vital step to cleaning rugs that many Carpet Cleaners simply can not achieve. We efficiently remove dust, dirt, pet dander, pollen, and any allergen particles that stay embedded in the knots of your rug. 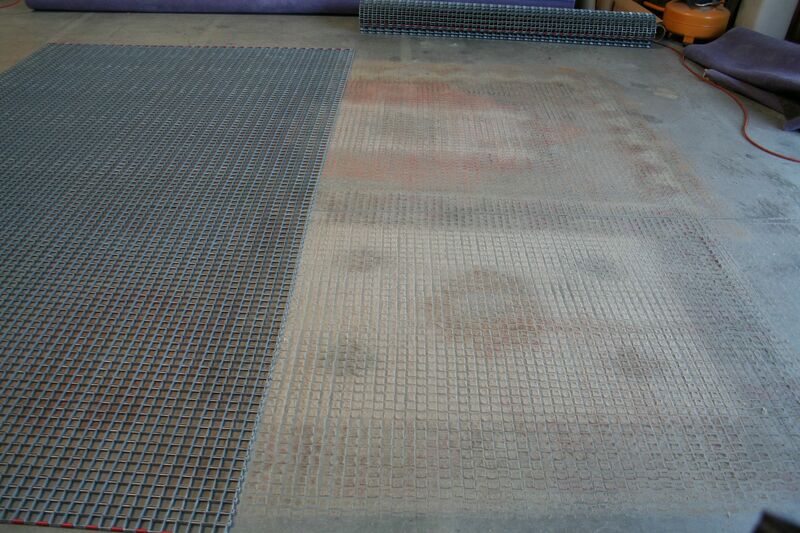 The presence of these particles trapped in a rug can accelerate the wear and tear process, damaging fibers and wearing down the foundation. Our products, equipment, and unique methods allow us to use the most efficient ways to get rid of these particles existing in your rug, while safely maintaining the integrity of the rug. This process of “dusting” significantly improves air quality as well as, the overall Health and Life span of your rug. Each rug is thoroughly cleaned back to front. 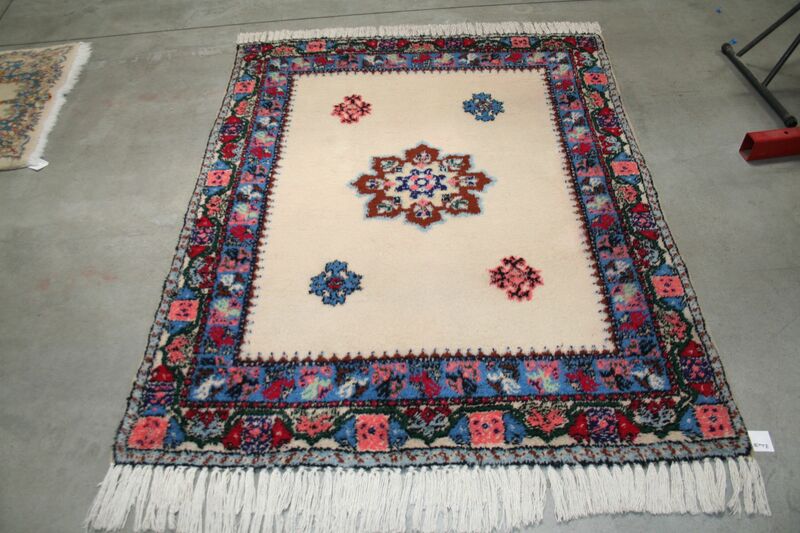 Rugs are washed with Oriental Rug Shampoo which is Wool Safe approved, and is specifically designed to get maximum cleaning while protecting sensitive natural fibers. This process could take several hours, and can be repeated several times depending on how dirty the rug is. After a thorough scrubbing, each rug is squeegeed, rinsed, and fully extracted before being laid out to dry. Professionally cleaning your rug will not only get rid of those pesky stains and odor, but will also help bring out the richness of colors in your rug. Also improving the air quality since the particles trapped in your rug have been removed. Not to mention, improving the health of the wool, which in turn helps with the over life of the rug.